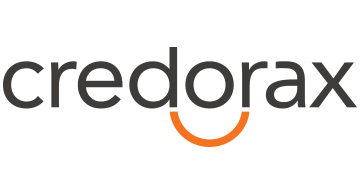 Credorax is a merchant acquiring bank that specializes in helping US retailers expand their e-commerce businesses into Europe. One of the key hurdles retailers face when looking to expand their e-commerce businesses internationally are the exorbitant banking and exchange fees associated with cross-border payment processing. As a licensed and practicing commercial bank within Europe, Credorax is uniquely positioned to treat each payment it processes as a local vs. foreign transaction, ultimately leading to lower banking and exchange fees. By collaborating with both US-based payment processors - such as Vantiv - as well as nearly 100 European payment service providers, Credorax has successfully enabled both domestic entrepreneurs and large international enterprises to reach new consumer markets across 36 European countries. Credorax evolved from a technology company into a merchant acquiring bank and is therefore deeply committed to transforming the banking industry through innovative technology. Each year, Credorax dedicates 40% of its R&D to these innovative launches. Credorax is a bank licensed by the Malta Financial Services Authority (MFSA), with more than 250 employees located across the US, Europe, Japan, Israel and China. Over $100 million has been invested in the company to date by FTV, Blumberg Capital, Columbus Nova Technology Partners and Mobile Internet Capital. For more information, please visit: www.credorax.com or follow us on Twitter @credorax or contact: grow@credorax.com.